Choose a reliable telecom solution that you can trust. 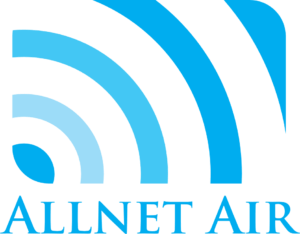 Allnet Air is the number one choice for telecom solutions. Efficient telecommunication includes some of the most critical elements in any office. Nowadays, a company relies heavily on the internet, wireless technology, and other telecommunication technologies. Managing these solutions can be expensive. Luckily, a telecom management program from Allnet will bundle these services together to make your bills more affordable. Telecom expense management (TEM) is the process of managing your wireless expenses. At Allnet, our team of experienced consultants searches for the best money-saving opportunities for business. With nearly 40 years of industry-leading expertise, you can count on us to provide you with expert guidance that will help your company grow. We keep your company’s best interest on the top of our minds, no matter what. At Allnet, we are much more than just a consulting firm. We are wireless managers, network advisors, and solution providers. Our certified specialists will find the right opportunities that will help your company thrive. As a certified partner of AT&T, you can trust us to set you up with a wireless telecom program that helps small to mid-sized companies effectively plan monthly mobile budgets. It doesn’t matter who your wireless carrier is, because we’ve developed the perfect management solution for each one. More than 10-15% of billing errors creep onto monthly telecom bills. Eliminate these expenses with telecom auditing services by Allnet. Tired of paying ridiculous overcharges every month? Do you find yourself spending outrageous sums for more data service? We’ll help you get to the bottom of what’s causing your high bills. Allnet will run a telecom expense audit to reveal any expenses that pertain to your telecom services. This helps us track any billing errors, misused amounts of data, and other threats for excess charges. No one should have to pay extra for their mobile device use. When we run audits, we will ensure that you are issued an accurate bill. Similar to expense management, telecom audits can help companies achieve significant cost reductions on wireless data services. Ultimately, this determines what a company should be spending. If your company is facing any overcharges we’ll give you real-time results based on real-time data. As a top telecom auditing company, we perform regular, monthly audits to ensure that your bill is right each time. Don’t be a victim of expensive telecom costs. Use a telecom expense management service that you can trust. With a professional audit by Allnet, you can expect a solution that will save you money each month. Get the solution that will help you save thousands of dollars by contacting one of our experts today. Give us a call at (847) 457-9543 to set up your audit.